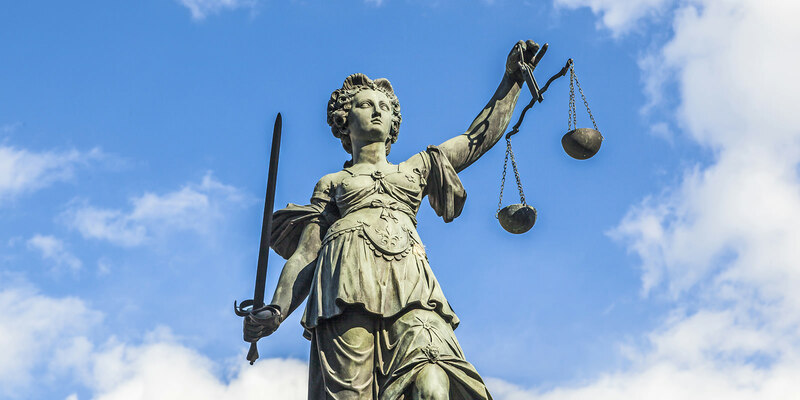 The Arc of New Jersey engages in ongoing advocacy and oversight on issues related to transparency, communication and regulations within the New Jersey Department of Human Services and the New Jersey Department of Children and Families. Our program directors sit on a variety of committees, task forces and coalitions working on issues such as prevention, early intervention, special education, family support, employment, and healthcare. 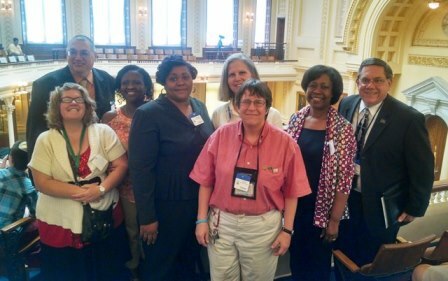 The Arc of New Jersey's legislative activities include monitoring and responding to all state legislation and budget issues that will impact individuals with intellectual and developmental disabilities, their families and provider agencies. In addition, we also weigh in with New Jersey's congressional delegation on national issues. 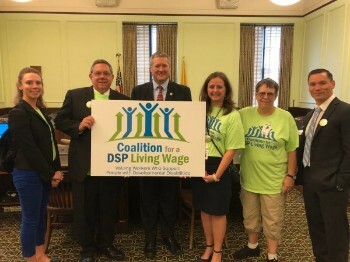 The Arc of New Jersey is a member of the Coalition for a DSP Living Wage which aims to increase salaries for our Direct Support Professionals. The Coalition is comprised of families, community provider agencies, Direct Support Professionals and, most importantly, people with intellectual and developmental disabilities (I/DD). These members share a common belief that individuals with I/DD deserve to live rich and meaningful lives as fully integrated members of our communities. Toward that end, Direct Support Professionals (DSPs), who play a critical role in meeting this objective, must be paid a living wage. Please visit the Coalition for a DSP Living Wage web site to learn more about our advocacy on this important issue. 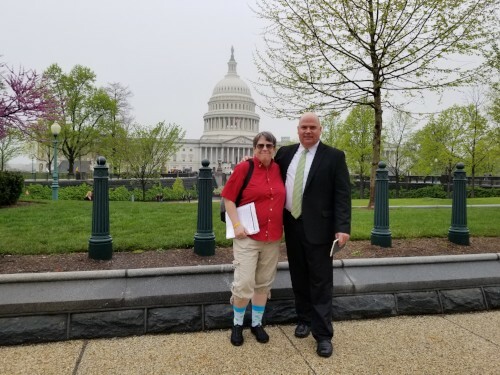 In addition to our advocacy on the state level, The Arc of New Jersey is in frequent contact with members of New Jersey's congressional delegation on matters of importance to people with I/DD and their families. 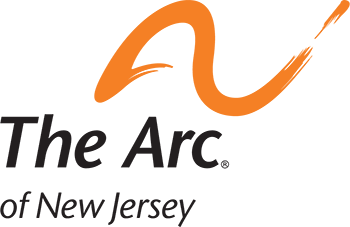 Please visit The Arc US web site for additional information about federal priorities in the current congressional session. e-Advocacy Network If you care about these issues and want to get involved, please consider joining our e-Advovacy Network. It is a free and easy way to support our Advocacy efforts and to make a difference in the lives of children and adults with intellectual and developmental disabilities. Looking for more public policy information from Washington, DC? Then be sure to visit this site. In addition to updated news and resources, you can find the names and contact information for your federal and state representatives by inputting your zip code on the right hand side of the page.